Somewhere in the City of Nook, a rowdy man named Randall suddenly wakes up inside a box. He's not alone in this situation; Randall has a voice in his head guiding him the whole way. Before long, Randall finds himself on a quest to free Nook, using new and unusual powers. It would seem that this voice has more insight than Randall, as it helps him unlock his newfound mental abilities along the way. 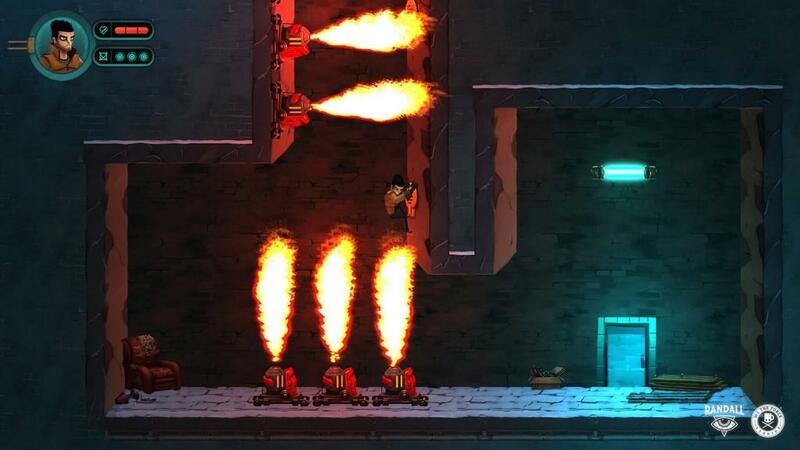 Created after three years by We The Force Studios; Randall is an action-adventure platformer in which players assume the role of - you guessed it: Randall. The titular character is a parkour practicing badass who has no fear of the evil establishment which has control of Nook. 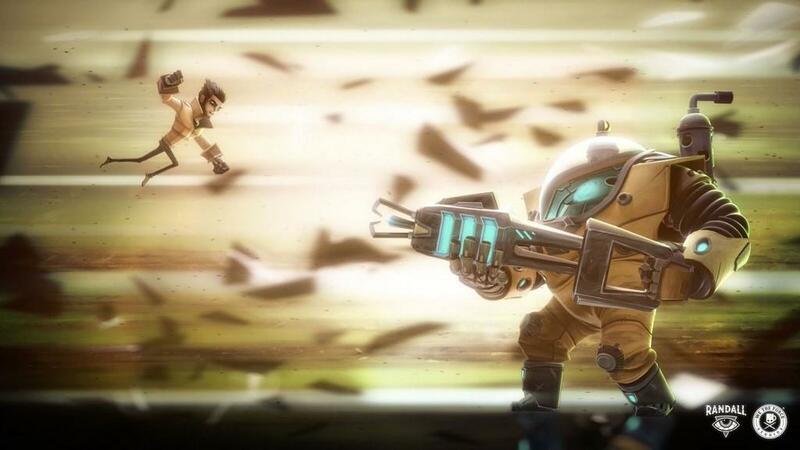 Throughout the game, Randall is pitted against enemies that vary in size and strength. 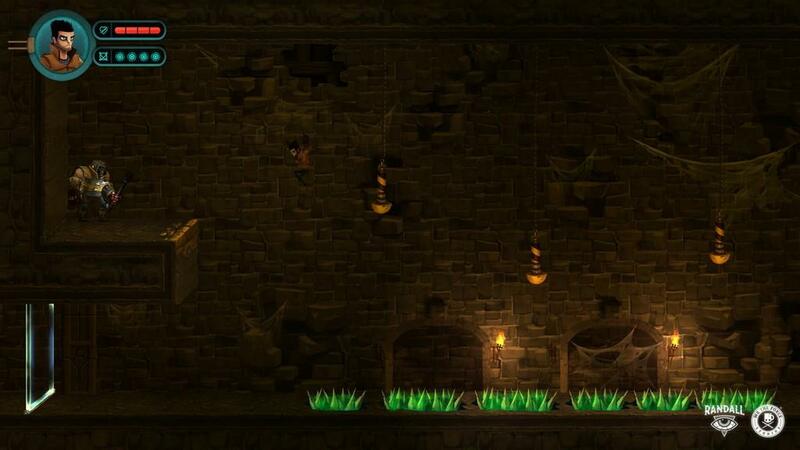 Additionally, Randall will find himself spryly jumping around deadly obstacles in order to reach the next area. Randall's platforming sequences act as a set of jumping puzzles. 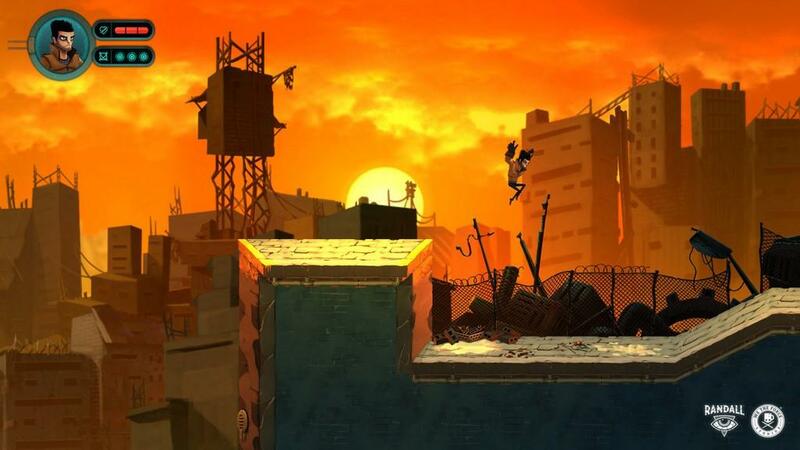 The player is given a checkpoint at the start of each jumping puzzle. If Randall dies during a sequence, he is sent back to that checkpoint. 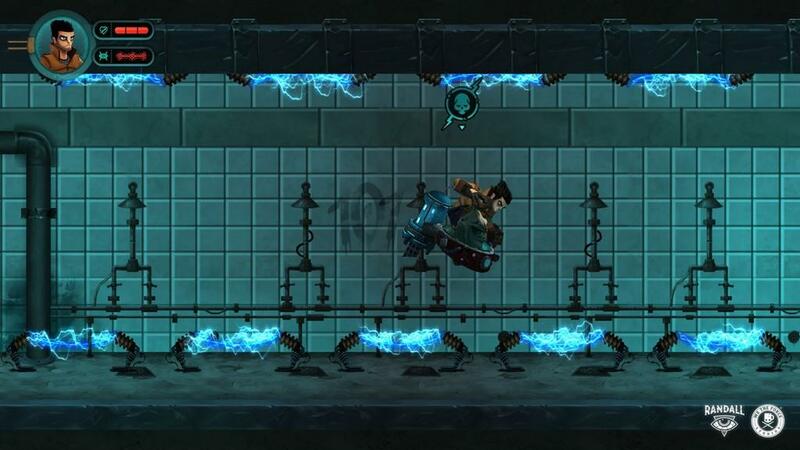 After a crash course of the basic control scheme, the player is faced with different obstacles such as electrical fences and poisonous gas. 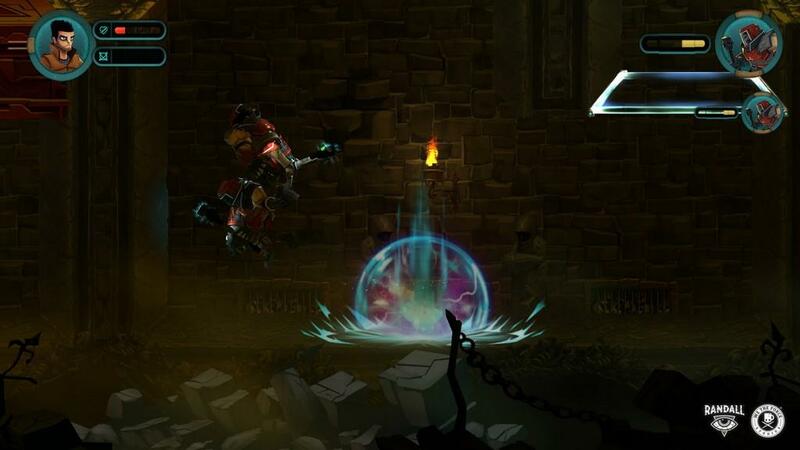 Some of these obstacles are fun to get around, and the more challenging rooms require timing and precision. Unfortunately, Randall's controls don't feel very responsive. 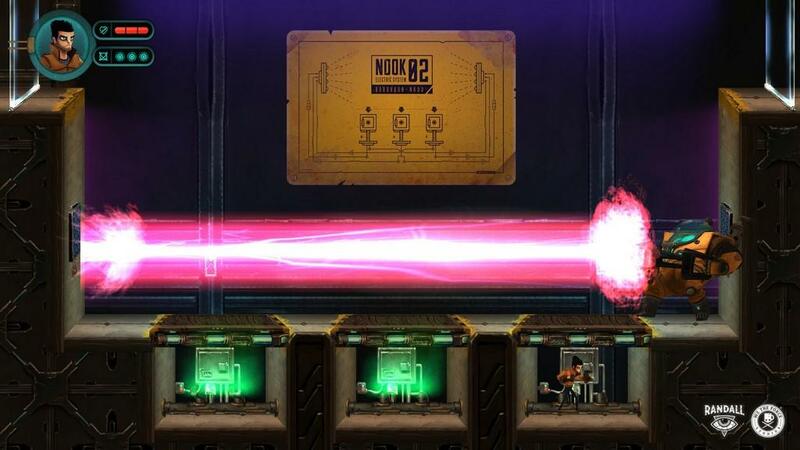 In these larger rooms, they often get between the player's intention and what actually Randall does. Sometimes, it's difficult to distinguish whether it's a puzzle's difficulty that keep the player from progressing, or the troublesome controls. Either way, it's easy to get frustrated when you're unsure if the failure was yours or the game's. Beyond platforming, Randall's combat leaves a bit to be desired. Most enemies move slowly, giving the player the advantage of speed. This leads to repetitive fights that wind up consisting of hit and run tactics. In an effort to diversify this stale set of encounters, Randall has access to a few combos. Using said combos often leaves him open to a random attack, making them less than an attractive choice during a scuffle. Rather than employing brute force, the boss encounters within Randall involve pattern recognition and avoidance. As a result, these encounters are much more memorable and feel good to accomplish. In order to bring the dystopian scenes of Randall to life, a combination of bassy chords and comic book-esque art is employed. The visuals and music work for this setting, but the narrative is light in comparison. Rather than relying on the sometimes confusing dialogue between Randall and his "Mind"; this story is better told by taking in the well-drawn backdrops and stark contrasts between the good and evil characters. Although the art and music make a valiant effort at bringing this title around, it does little to distract from the rest of what makes Randall tick. 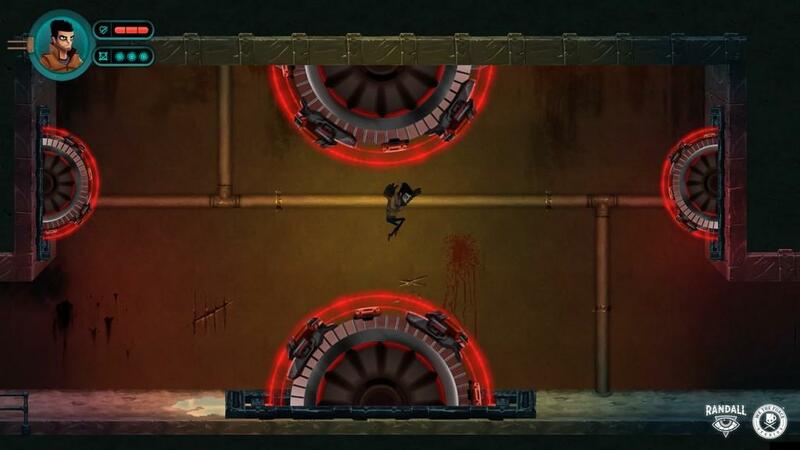 Randall's gameplay comes up short, but offers a distinct style. However, the controls and repetitve combat prevent this title from ever feeling gelled together. Although the art and music are the standout portion of this game, it's not enough to distract from a flawed experience. To fully express his love of video games, Dan Colonna does everything from podcasting, to blogging, to... well, gaming! One would expect that wearing this many hats would give Dan hat hair, and they'd be right in doing so. Pokémon, Destiny, Harvest Moon, and the Mega Man series are just a few of Dan's favorite games, and good examples of what kinds of games he leans toward. To satisfy a thirst for writing, Dan created nerdpundit. There, he still writes about popular culture. When he's not writing about video games, Dan's making videos for his YouTube channel: Hit Buttons! Finally, Dan is a co-host of the Dinosaur Machines Game Club podcast, where he discusses a different game every other week along with his two proverbial partners in crime - Mark and Dave.